Lady Scientist of the Day: Joyce Jacobson Kaufman #WHM15 #WomensHistoryMonth « Adafruit Industries – Makers, hackers, artists, designers and engineers! As part of our ongoing Women’s History Month coverage today we celebrate Joyce Jacobson Kaufman, chemist. 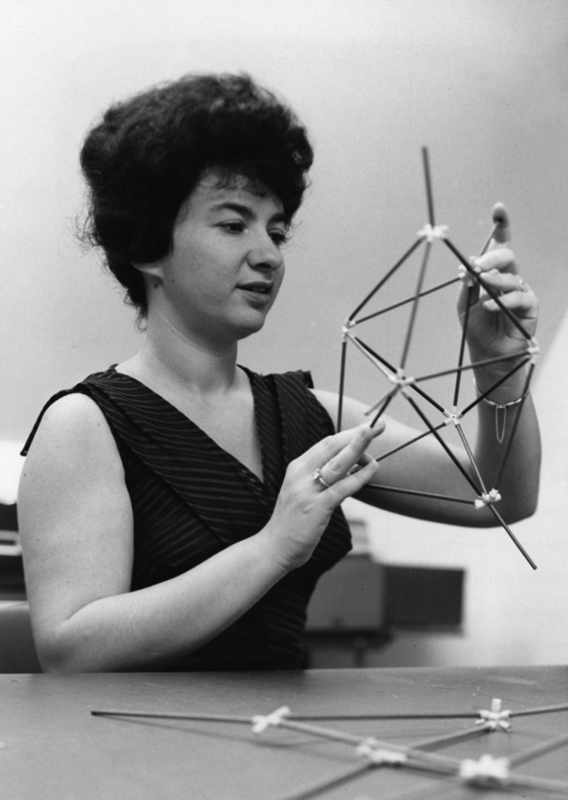 Joyce Jacobson Kaufman is a Jewish American chemist. In 1972 she introduced the concept of conformational topology and applied it to biomedical molecules. Kaufman also published a landmark paper in 1980 in which she described a new theoretical method for coding and retrieving certain carcinogenic hydrocarbons. She was invited by NSF to use the Cray X-MP (1985) and YMP (1989) supercomputers at the San Diego Supercomputer Center. Kaufman knew she wanted to be a chemist at age eight after reading a biography of Marie Curie. That year she was chosen to attend a summer course at Johns Hopkins University for gifted children in math and science. In 1945, she was admitted as a special student to Johns Hopkins University, which did not grant women regular student status until 1970. Kaufman earned her B.S. with honors in Chemistry from Johns Hopkins University in 1949. She then worked as a technical librarian and later a research chemist at the Army Chemical Center. In 1952 she returned to Johns Hopkins as a researcher in the physical chemistry lab of her former professor, Walter S. Koski, who later became her second husband. Kaufman received her M.A. in 1959 and her Ph.D. in physical chemistry in 1960. Koski was her adviser and mentor. In 1962, accompanied by her mother and her young daughter, she went to Paris, where she became a visiting scientist, receiving a doctoral degree in theoretical physics from the Sorbonne the following year. Later Kaufman came back to Johns Hopkins as a principal research scientist, a position which she held until her retirement. She also held a joint appointment in the Johns Hopkins School of Medicine as associate professor of anesthesiology and later of plastic surgery, but she never received tenure or promotion to full professor, possibly due to discrimination against her as a woman. Kaufman is noted for carrying out the first all-valence-electron, three-dimensional quantum-chemical calculations, and for research on the clinical effects of tranquilizers and narcotic drugs.